In today’s techno- world , no one can deny that email has become a primary source of business communication be it Enterprise or Startup. According to Adobe 2016 Mobile Apps Report Messaging and collaboration applications are the most mission-critical mobile apps in enterprise today. Irrespective of industry—from BFSI to education, retail to manufacturing—every businesses need an email and collaboration tool for efficiency and productivity. 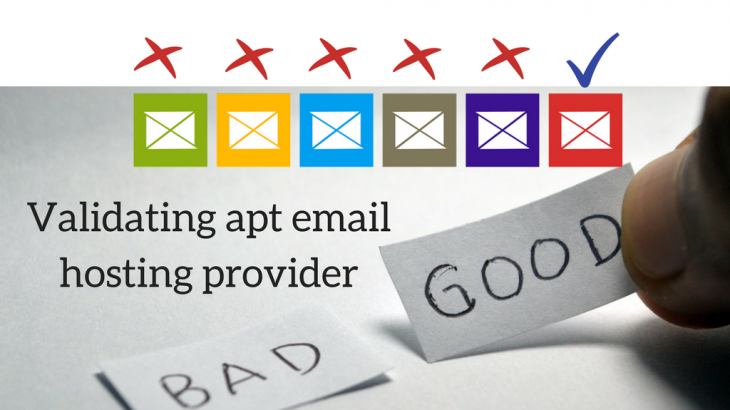 But with so many email hosting provider today, how can you find right one based on your needs? To begin, 5 Questions you should ask Email Hosting providers to check if it is meeting your requirement. 1. How secure is your Email Service? Does they have integrated solution for anti-spoofing, anti-spam filtering, anti-malware and data loss prevention solution? How are they going to provide Data Backup? What is the level of support will they provide if Email has been spoofed or hacked? Is their email services complaint? Logix Infosecurity , a provider of complete Email Solution – be it Microsoft Office 365 or Google apps or Cloud Zimbra has taken care to answer all these queries. What is the level of support email service provider will provide? What will be SLA in that case? Also at the same time, Can Email Hosting provider can delete confidential data from phone that has been lost and enforce PIN Lock? 4. Compatibility and flexibility through Hybrid mail solution. As a business owner, you value productivity—and that is vital for any email system. But these days organizations rather than choosing one email service providers are going for hybrid mail solutions – choosing multiple email hosting provider pointing to same domain. Will they point to the same domain? Will they provide seamless mail flow with this kind of flexibility? Will they provide common address book? Here are the other factors of Hybrid Mail Solution Provider which you may read. Worse is the situation when you need to find a particular email from a cluttered email inbox that doesn’t sort messages easily. Email Hosting provider should provide an email archival solution also to keep yourself productive in such kind of messy situation. Can your email hosting service be integrated with email archival? How is the retention done? Does it support e-discovery for compliance and regulations. Often Email Hosting Provider offer backup solution instead of archiving. But you should be clear if you need a backup or archiving.